Several Super Eagles stars were advised to change their European clubs in the January transfer window as a result of lack of playing opportunities, manager Gernot Rohr has revealed. 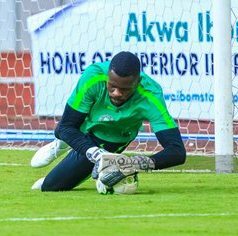 Francis Uzoho, Chidozie Awaziem and Uche Agbo were loaned out to Anorthosis Famagusta, Rizespor and Rayo Vallecano respectively last month to improve their chances of making the roster for the 2019 Africa Cup of Nations. ''The players, especially at the end of the FIFA window, some of them changed their clubs,'' Rohr said. ''We told the players not playing for their clubs to go to other clubs where they can play. Lokomotiv Moscow's Brian Idowu, Brighton's Leon Balogun and Levante's Moses Simon have found game time hard to come by this season but stayed put at their clubs when the window closed for business.